We understand that choosing which organization to give money to, in a time where there are so many worthy causes, can be difficult. We know that it is also crucial that you know exactly what your donation is funding. 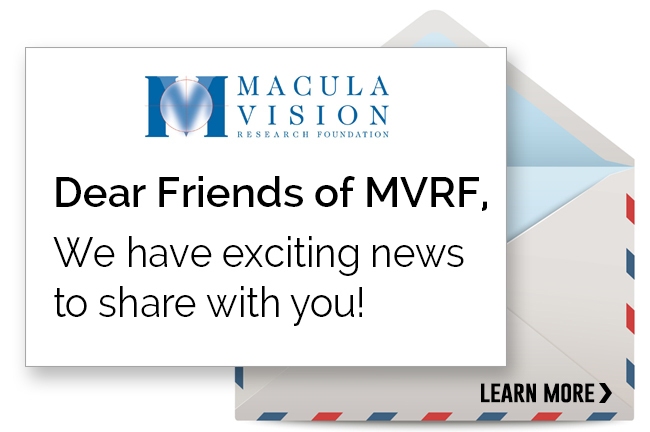 As of 2018, all charitable donations to MVRF will fund age-related macular degeneration (AMD) research projects led by the best and most promising scientists at the University of Pennsylvania – a world leader in eye research. 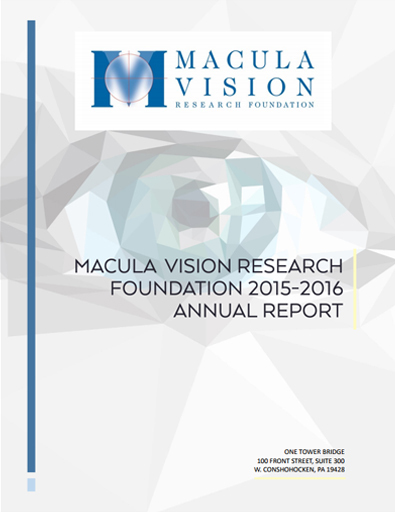 To maintain transparency, we provide our annual report, financial records and policy documents. MVRF is licensed and certified as a national 501(c)(3) non-profit organization in the following states: AL, AK, AZ, CA, CO, CT, FL, IL, KS, KY, ME, MD, MA, MI, MS, MO, NC, NH, NJ, NY, OH, OK, OR, PA, RI, SC, UT, VA, WA, WI.